There are no WWI or WWII graves in this kirkyard, but there are some interesting older ones. 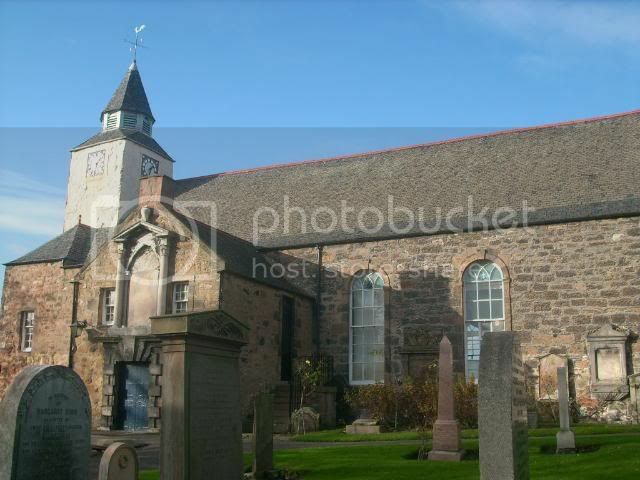 Although there was a church in Prestonpans from the 12th Century or before, all trace of it was lost in 1544, when English troops harried the Scottish Lowlands. This was the "Rough Wooing", the revenge of Henry VIII for the refusal of the Scottish Parliament to allow the infant Queen Mary to marry the prince of Wales (later Edward VI). The story of the present church begins with the appointment of the first minister, John Davidson, in 1596. Davidson was a champion of the reformed church in the generation after John Knox. He was an outspoken man, fit for his stormy time. He decried bishops, denounced those in the church who took seats in Parliament, and boldly criticised King James VI. He was briefly imprisoned in Edinburgh Castle in 1601, and to the end of his days forbidden to leave his parish. Davidson began to build the first Preston Church in the year following his appointment as minister. 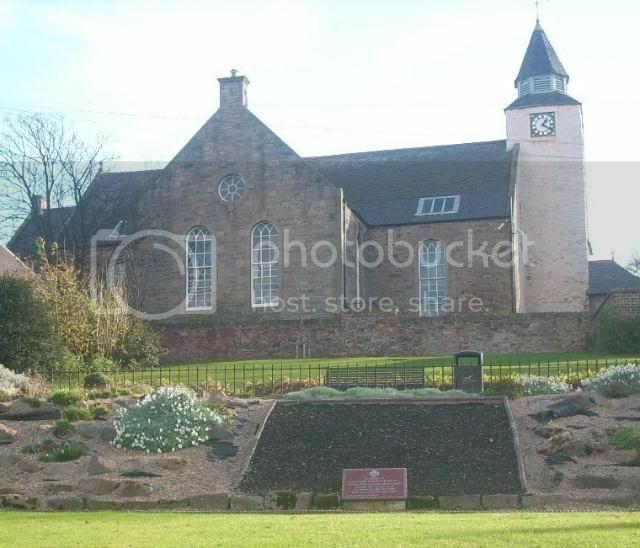 The two local landowners, Lord Hamilton of Preston and John Kerr of Prestongrange were reluctant to provide for a parish church. Eventually Hamilton provided the site, but little financial support, and Davidson built the church, manse and school largely at his own expense. The original church was small, with a communion table running the length of it. The main door was to the north. During the 400 years the church has stood here, it has seen 27 ministers and almost as many generations of worshippers. Many of the ministers were notable men. The second minister was John Kerr, a step-son of John Knox. John Davidson had predicted John Kerr would be his successor as minister of the parish when he was still a swaggering youth. Amongst subsequent ministers, three were deprived of their office in the late 17th century. This was the time of the Covenanters, when the Church fought for its freedom of worship and government. The relationship of the church with its patrons continued stormy, because several 17th century ministers died deep in debt and one took a dispute with the patron to the Parliament in 1695. In 1702, the patron, Lord Prestongrange, was reluctant to call Robert Horsburgh, and his concerns seem to have been justified since Horsburgh later complained that the church was unsafe and a long dispute with the patron ensued. His successor, William Carlyle was minister at the time of the Battle of Prestonpans and watched the action from the church tower. The church was extensively rebuilt in 1774, and again in 1891. In 1774, the church was enlarged and the present shape of the east-west aisles emerged. The pulpit would have stood on the north wall. There were then two transept-like protrusions from the south side of the church: the laird's loft, now the organ loft, and another to the west of it. This latter consisted of a porch and the vestry above it. In 1891, the north aisle was added and also the east porch. At that time the porch and vestry were removed and a vestry built in the north-west angle of the building. That vestry was destroyed by a fire in 1975 and replaced by a new vestry and the choir room in the north east corner. In 1843, the Church of Scotland was split over the question of the right of congregations to call their own minister. The current Minister, William Bruce Cunningham, left with a large proportion of his congregation to form the Free Church. The Free Church became the United Free Church in 1900 and, in 1929, with the reunion of the two national churches, the Grange Church. 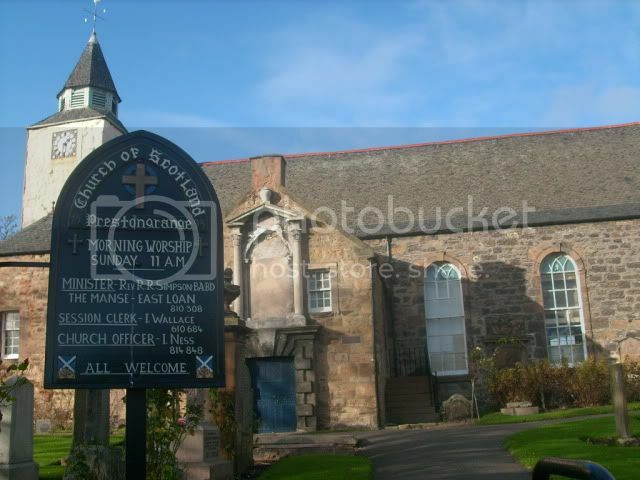 In 1981, the two congregations united to form Prestongrange Church. It is thought that the only part of the original church built in 1596 is that of the clock tower. 1981 Prestongrange Church. A union of Preston Church and Grange Church. 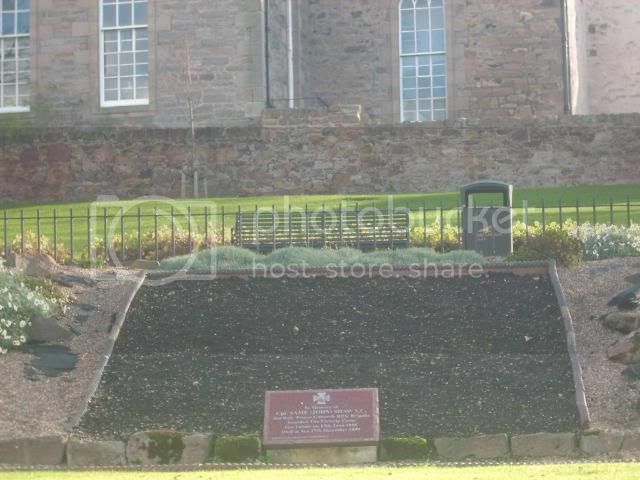 This is the grave from the battle of Prestonpans 21st Sept 1745. The inscription is very difficult to read. buttressed, pedimented, moulded, and worked. 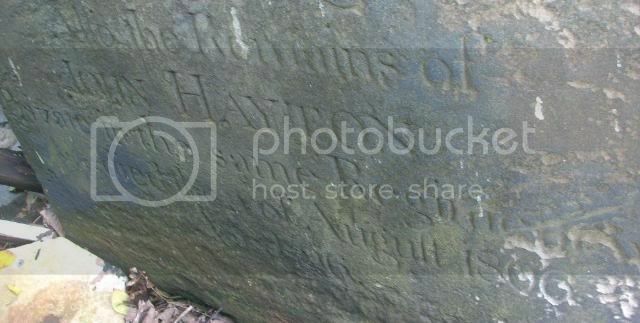 This next stone was propped up behind a stairway at the side of the church and thus difficult to read and photograph. 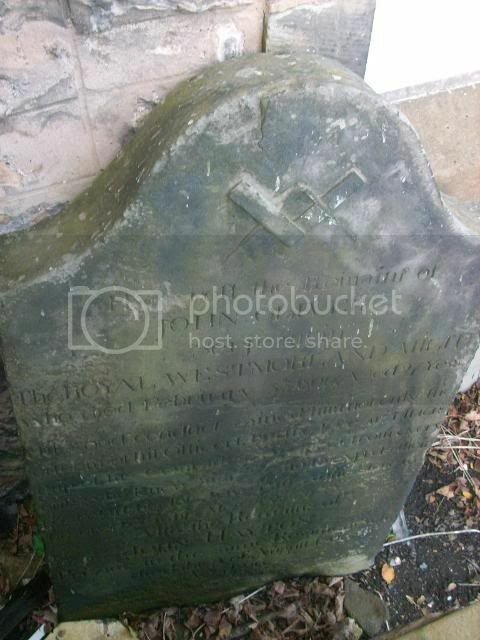 Here lyes the remains of John Oliver, Serjeant in The Royal Westmorland militia who died February 5th 1806 aged 27 years. The middle section was impossible to read, however I did manage to read the bottom portion. 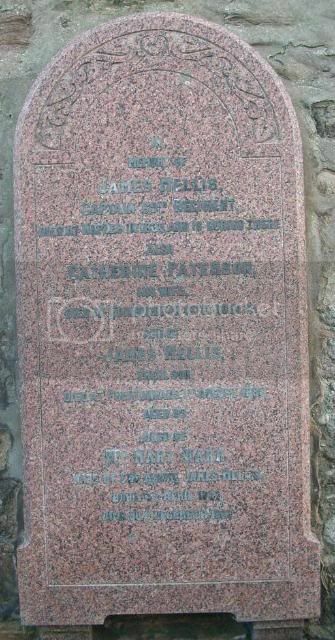 In memory of James Mellis, Captain 69th Regiment died at Naples in 1839 and is buried there, also Catherine Paterson his wife died at Edinburgh in 1878 aged 95 and of James Mellis their son died at Prestonpans 1st August 1899 aged 89 also of Mrs Mary Marr wife of the above James Mellis born 15th April 1822 died 30th dec 1902. 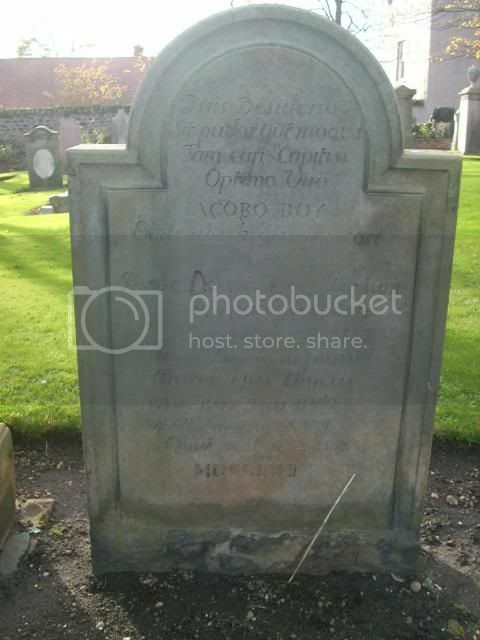 I am unsure if this grave should actually be here! 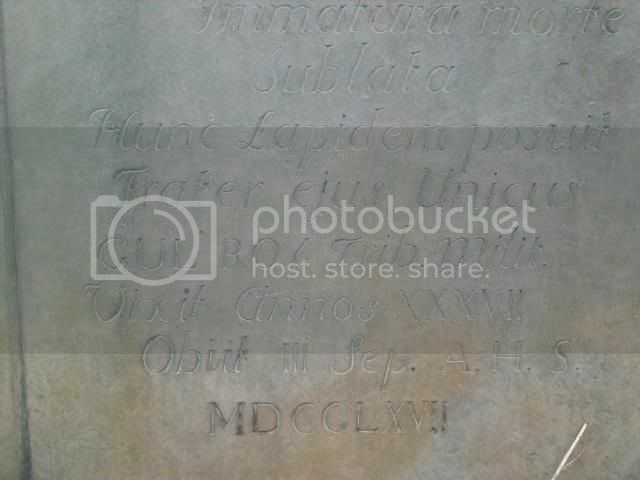 This is because it is written in latin, but a friend (who knows some latin) has assured me it is a military grave, or at least one of the people who died had served in the military at some point and the other we think was a minister of this church. 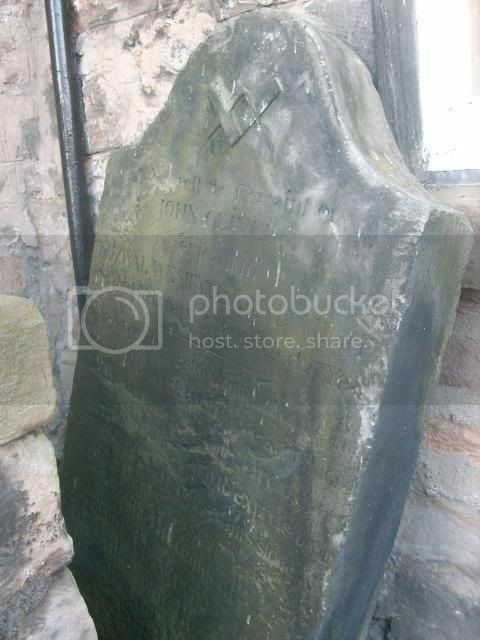 I will try my best to transcribe the stone and maybe someone will be able to translate it! Quis desiderio sit puder Aut modus tam cari capitis optimo viro JACOBO ROY ecclesice huius pastori Post Breve _emii ministerium immatura morte sublata hunc lapidem postuit. Frater ejus unicus GUL ROY trib milit vixit Annos XXXVII Obit III Sept A.H.S MDCCLXVII. 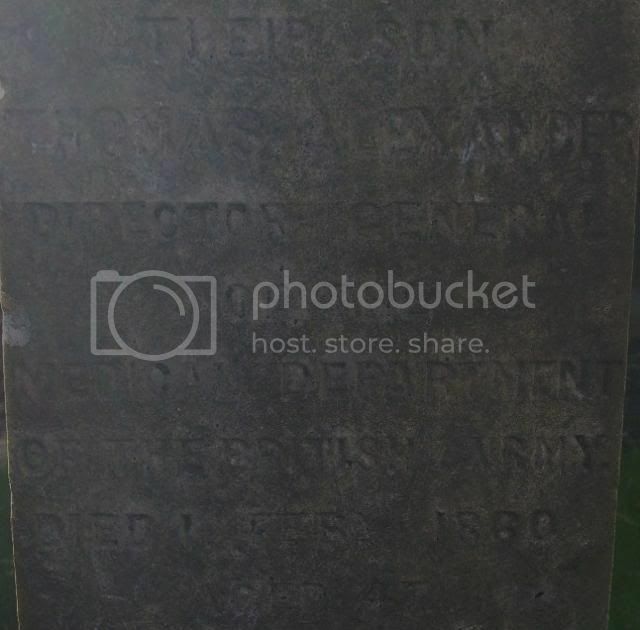 This commemorative stone is actually found in a "Memorial Garden" behind the church. 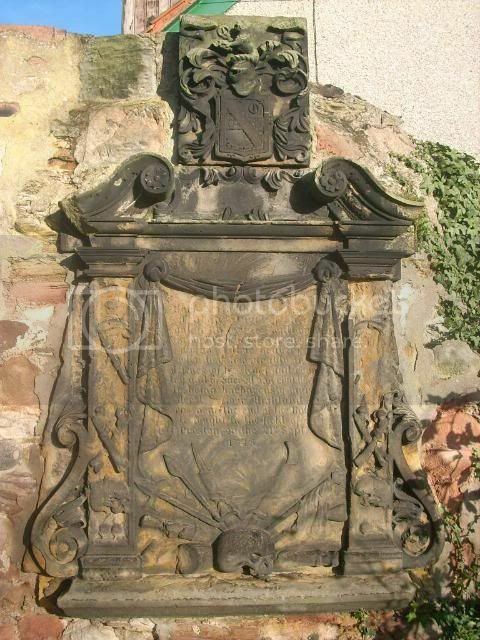 It can not be accessed from the churchyard itself, but from the High Street in Prestonpans. In memory of Cpl Same (John) Shaw VC 3rd Batt. Prince Consorts Rifle Brigade. 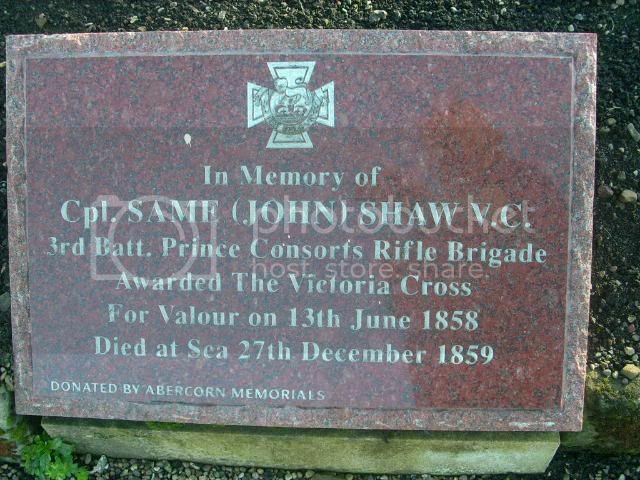 Awarded the Victoria Cross for Valour on 13th June 1858, Died at sea 27th Dec 1859. Same (John) Shaw was born in Prestonpans (date unknown) and he died onboard a ship en route from India to England on 27th December 1859. He was buried at sea somewhere off India. Same Shaw was a soldier in the 3rd Battalion the Rifle brigade (The Prince Consort’s Own), rising to the rank of Corporal. He took part in the Indian Mutiny and won his Victoria Cross after a very brave deed at Lucknow, India on 13th June 1858. His act of bravery was recorded in a dispatch from Major-General James Hope Grant K.C.B, who was the Commanding Officer of the Lucknow Field Force, to the Deputy Adjutant=General of the Army. The following is an extract from this document. "Nowabgitnye, 17th June, 1858. "I have to bring to notice the conduct of Private Same Shaw, of the 3rd Battalion, Rifle Brigade, who is recommended by his Commanding Officer for the Victoria Cross, An armed rebel had been seen to enter a tope of trees. Some officers and men ran into the tope in pursuit of him. This man was a Ghazee. Private Shaw drew his short sword, and with that weapon rushed single-handed on the Ghazee. Shaw received a severe tulwar wound, but after a desperate struggle, he killed the man." " I trust his Excellency will allow me to recommend this man for the Victoria Cross, and that he will approve of my having issued a Division Order, stating that I have done so." Within the same "Memorial Garden" behind the church can be found the family grave stone of Thomas Alexander C.B Director General of the Medical Department of the British Army and a contemporary of Florence Nightingale. 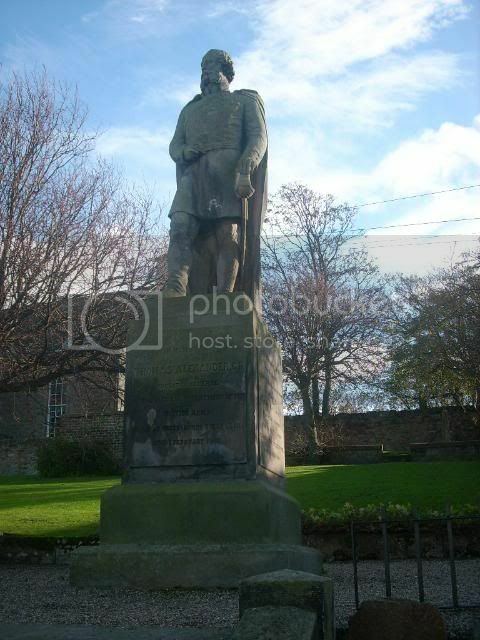 There is also a statue commemorating him within the same area. In memory of Will Alexander Salt Manufacturer Prestonpans died 26th Feb 1865 aged 79, his wife Helen Kemp died 12th May 1865 aged 80 and their infant children. 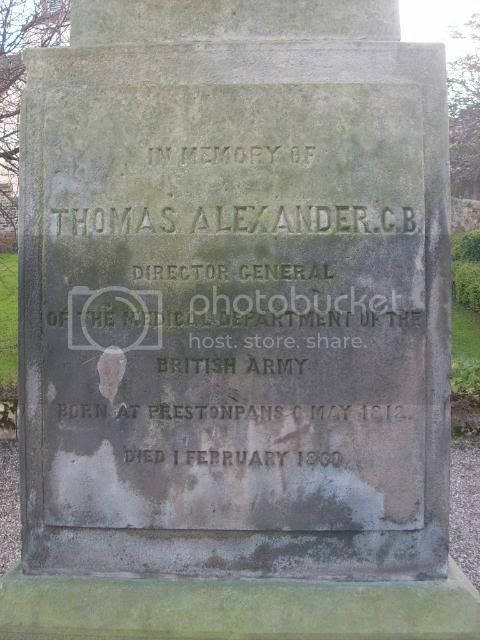 Their son Thomas Alexander Director General of the Medical Dept of the British Army died 1st feb 1860 aged 47, their daughter Margaret Tait Alexander died 8th Feb 1878 aged 54, also their daughter Isabella Alexander died 2nd Dec 1882. There is an inscription on all four sides of the statue plinth. Front: In memory of Thomas Alexander C.B Director General of the Military Department of the British Army. 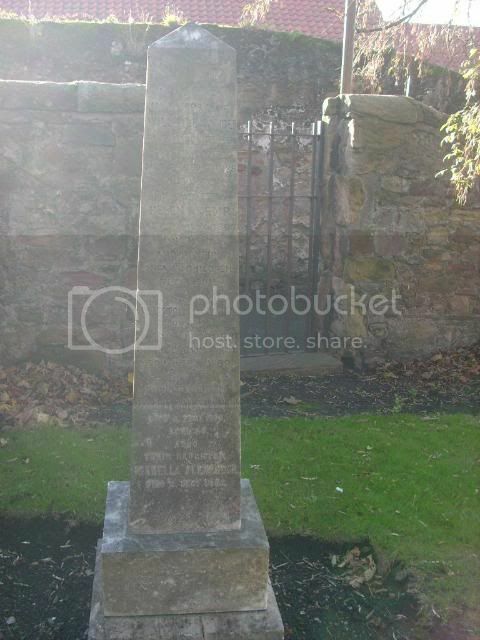 Born Prestonpans 6th May 1812 Died 1 February 1860. 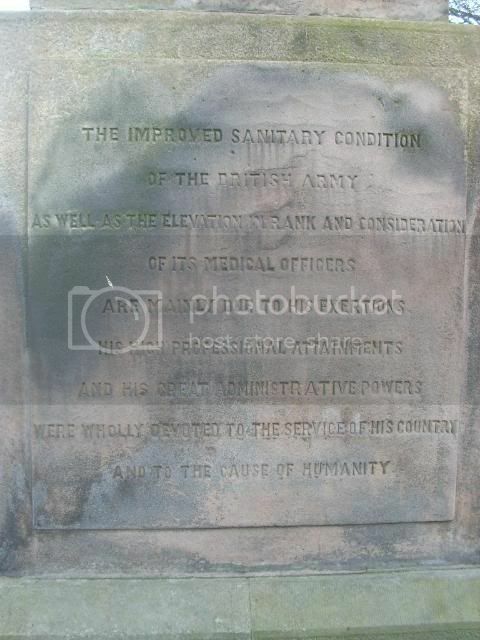 Right side: The improved sanitary conditions of the British army as well as the elevation in rank and consideration of its Medical Officers are mainly to his exertions, his high professional attainments and his great administrative powers were wholly devoted to the service of his country and to the cause of humanity. 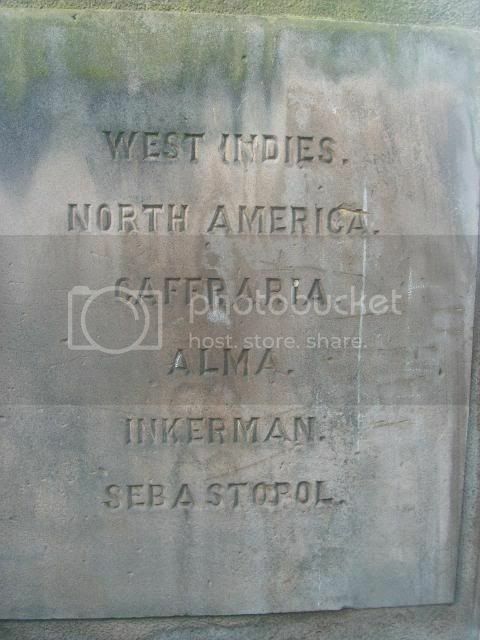 Back: WEST INDIES, NORTH AMERICA, CAFFRARIA, ALMA, INKERMAN, SEBASTOPOL. 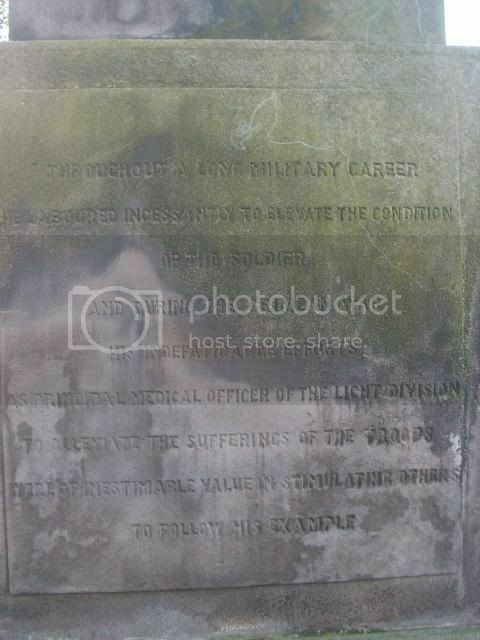 Left side: Throughout a long military career he laboured incessantly to eleviate the condition of the soldier and during the Crimean War his indefatigable efforts as Principle Medical Officer of the Light Division to alleviate the sufferings of the troops were of inestimable value in stimulating others to follow his example.